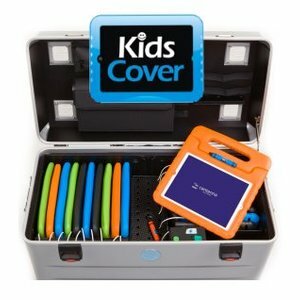 Case without compartments suitable for iPads with kidscovers. 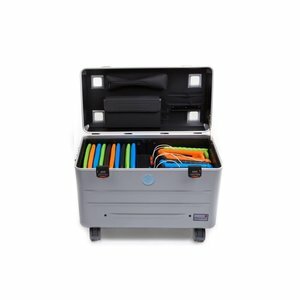 De case is lightweight and easy manageable. 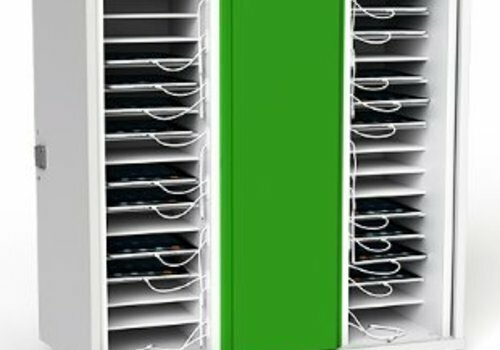 Charging with closed lid and 1 plug. 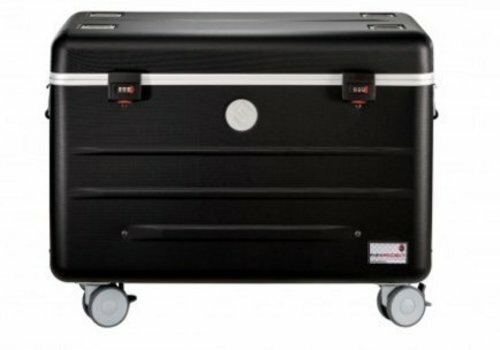 The plastic case is easy moveable due to 4 wheels. 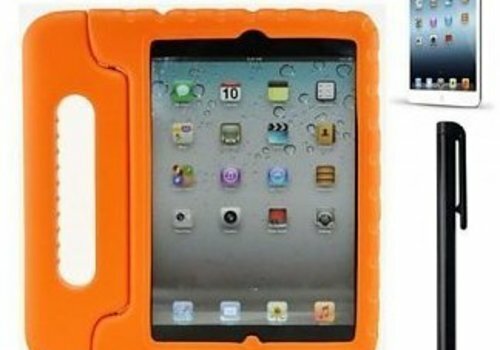 Maximum of 20 iPads. 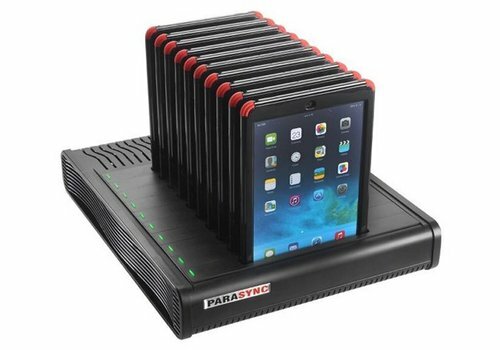 charge & sync i10 Parasync desktop docking station for 10 iPads 9.7"
Up to 4 stations expandable docking and charging station for 10x 9.7 iPads. 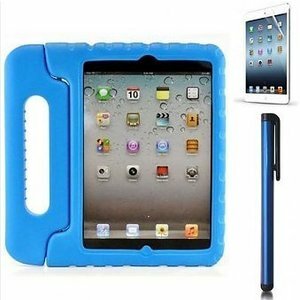 including protective cover with or without home button cover. 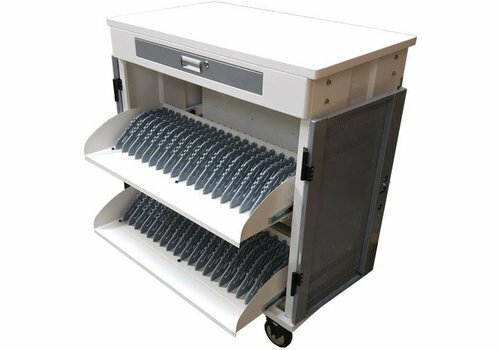 Compact footprint, automatic docking connection when placing the tablet in the holder. 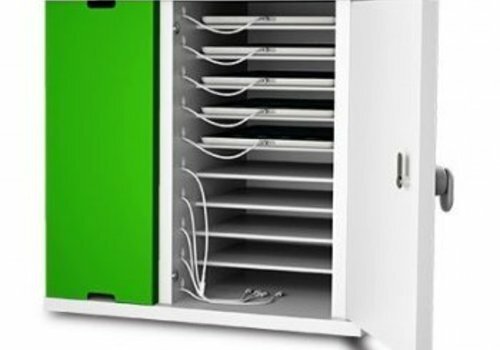 The Zioxi charging locker charge only smartphones for 10 devices ensures the simultaneous charging and storage of 10 devices. 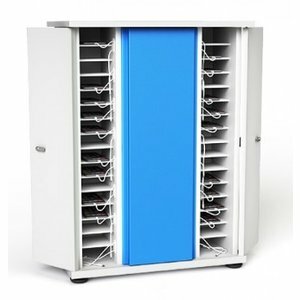 Available with key lock or codelock. 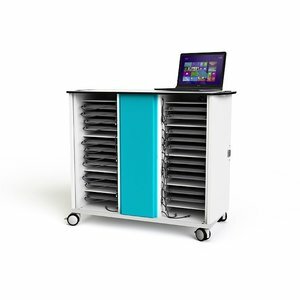 Zioxi is built to order and excluded from our return policy. 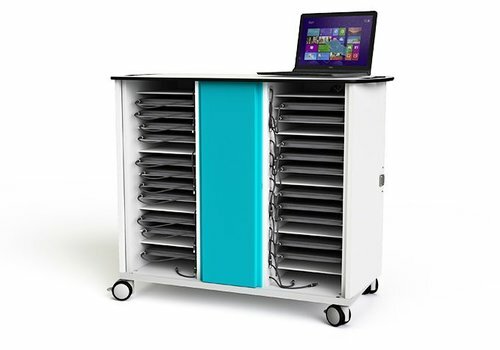 The Zioxi carts and cabinets offer the opportunity to store and charge 32 iPads/tablets with cables presented at the front of every shelf. 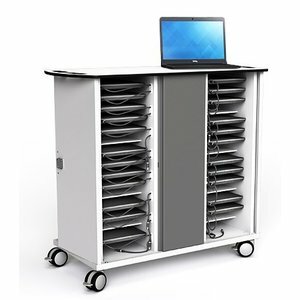 Easy to move and lock. 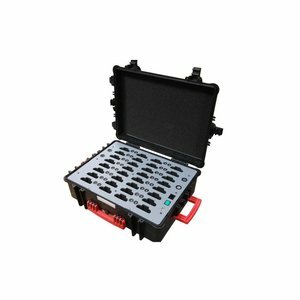 Available with key-lock or code-lock. 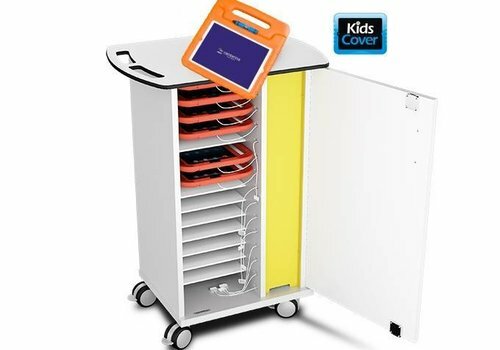 charge locker 20 compartments for Chromebooks/ Macbooks/ Notebooks/ tablets till 15,6"
BYOD (Bring Your Own Device) charging safe for individual charging and storage of 20 mobile workstations until 15.6 inch. 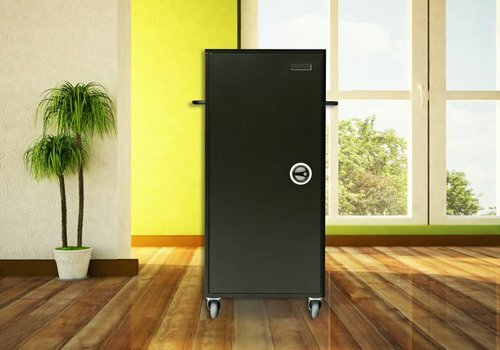 Available with key lock and code lock. 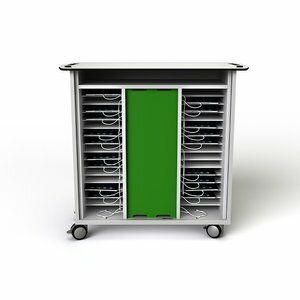 Built to order, not returnable. 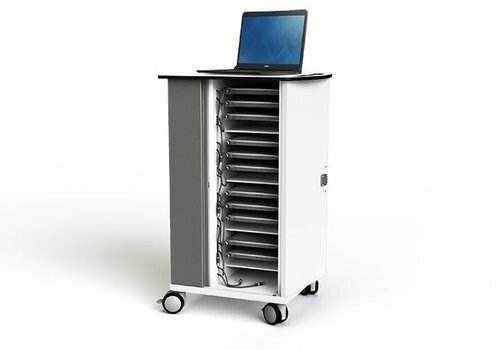 charge & sync T36 (T5) cabinet with wheels for 36 iPads, tablets and Notebooks between 10 and 15,6"
iNdota T36 (T5) Mobile mobile case for 36 iPads or Tablets; storing, charging and synchronising; 36 netbooks, ultrabooks, notebooks and Chromebooks with sockets and smart-timer T36 plus: 36 iPad, tablet including USB Sync. 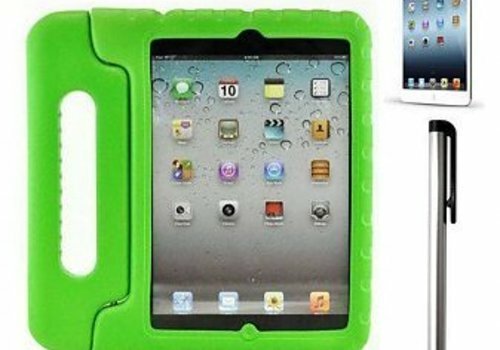 The iPad kids case is the perfect protection when kids use a iPad at school. 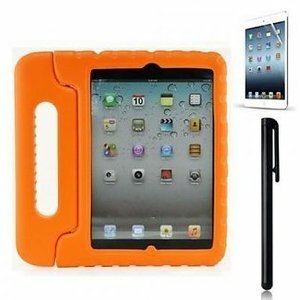 The case made of EVA foam protects against damage by falling and bumping. The handle gives grip and there is also a standard. 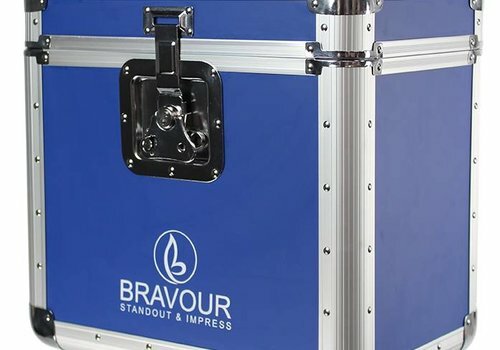 The minimum order quantity is 6 cases. 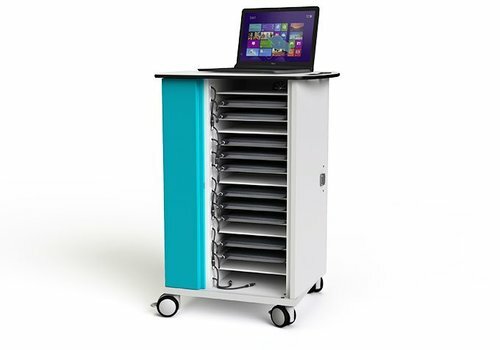 charge cabinet with wheels for 16 laptops and notebooks till 15.6"
Solid lightweight trolley for transport and storage up to 20 9-11 inch tablets, 40 7-8 tablets, 10 Chrome books (13" inch). 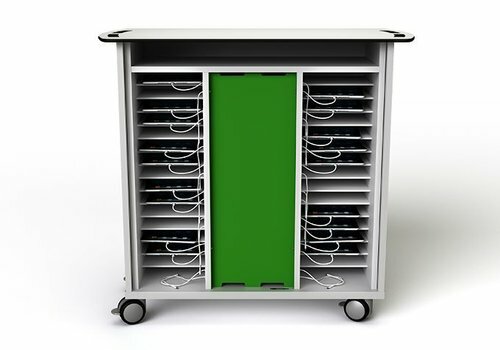 The tablet trolley case is moveable by the 4 big wheels and the trolley system. 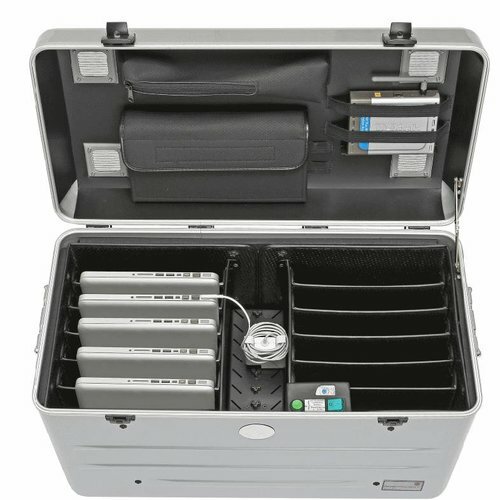 The case is lightweight and easy manageable. 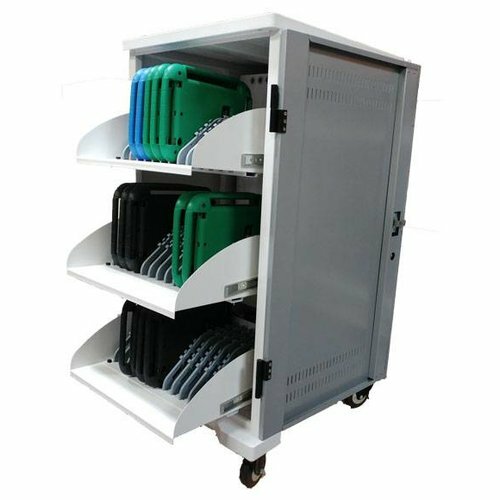 syncing and charging cabinet with wheels for 32 Tablets 7" till 14"
charge cabinet with wheels for 32 laptops and notebooks till 15.6"
UAG Hardcase for iPad 2017. 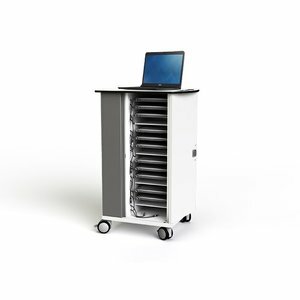 Ultra light, extremely strong and sturdy. 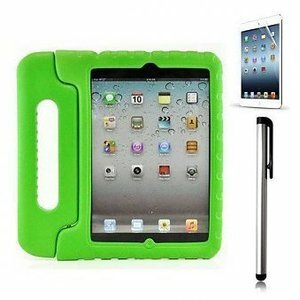 Drop protection up to 2 meters, outer shell of hard plastic with shock absorbing rubber corners. Padding of soft flexible TPU material. 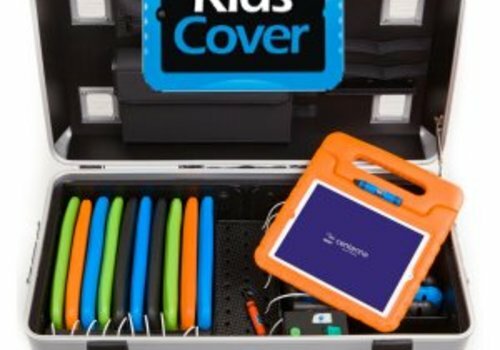 charge & sync case C32 for 32 smartphones iPods iPhones till 6"
charge cupboard with wheels for 20 Chromebook Macbook Laptop Tablet till 14"
The Zioxi charging case smartphone / iPod for 40 devices is the solution for the simultaneous charging and storage of your devices. Code lock included. 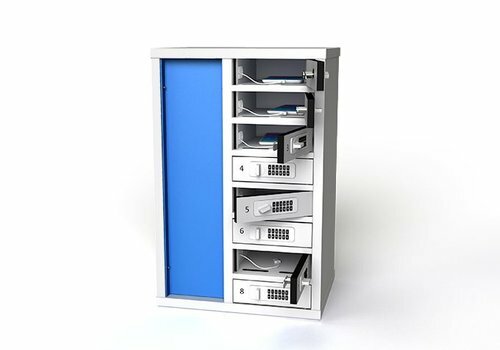 The Zioxi cabinets are made on request and cannot be returned. 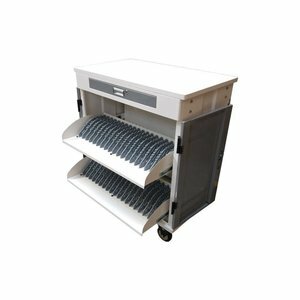 charge & sync T40 (T2) cabinet with wheels for 40 iPads, tablets and Notebooks between 10 and 15,6"
iNdota T40 mobile cart for 36 iPads or tablets , charging and synchronizing with smart-timer; automatic shut down of a charging cyclus. 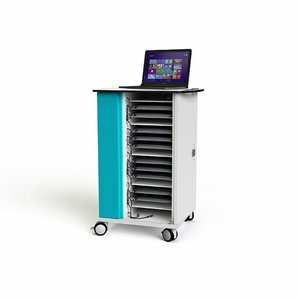 T2: 36 netbooks, ultrabooks, notebooks and chromebook with electrical outlets. 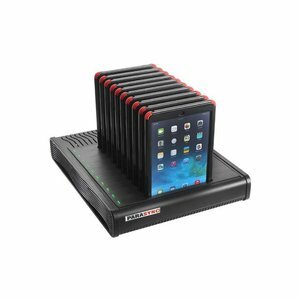 16 USB ports in one charge and sync block for iPads, iPods and tablets. Fast charge. 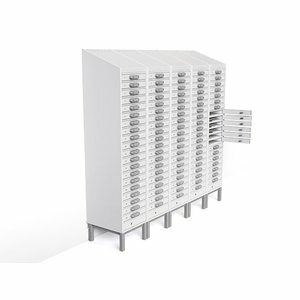 Compact HUB with USB 2.0 chargingpoints delivers 5 Volt/ 2.1 ampere charging voltage. 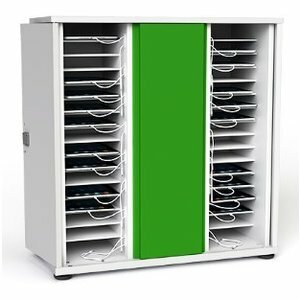 Door loops up to 3 units- 48 devices. 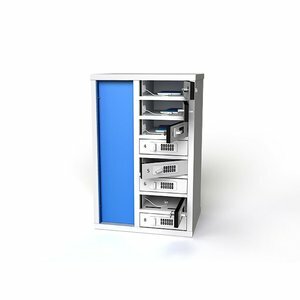 Sync with iTunes and Mobile device management. 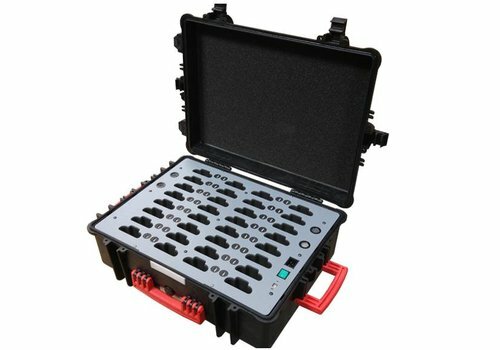 Charging and synchronization of 16 tablets in a case. 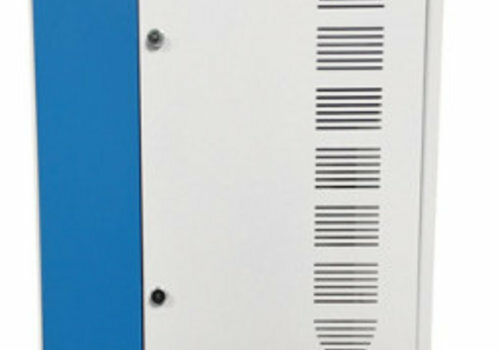 Build in central charge/sync HUB with 'flex-2-connect' connections. 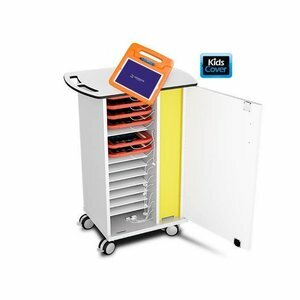 Without divisions of the compartments for placing iPads in thick kidscovers. 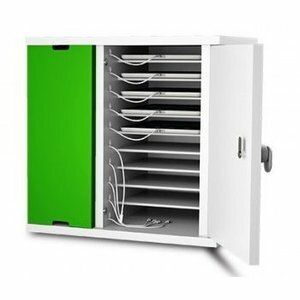 The Preforza TX-1 wireless charging station is suitable to charge a Apple device, easy , fast and without wire. 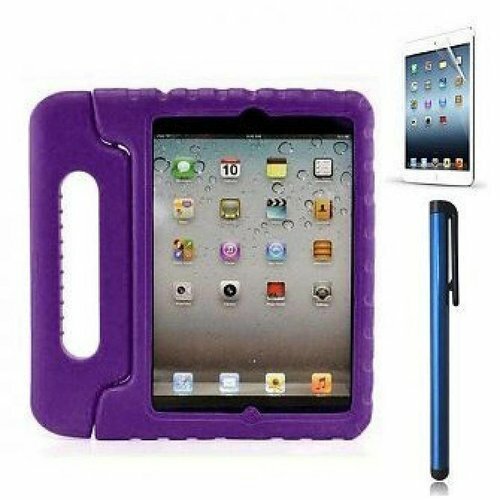 Smooth, simple and safe to charge with the special cases for iPhone and iPad. 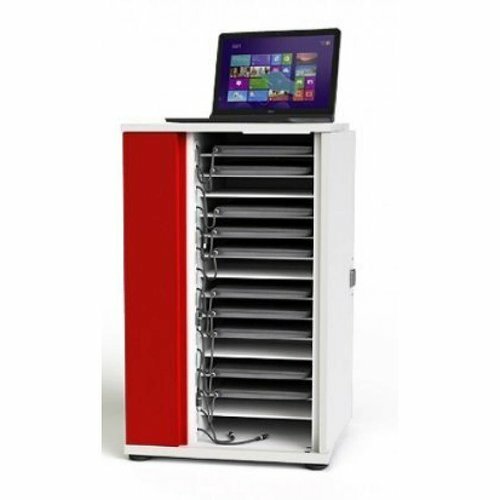 Available in black, red and white. 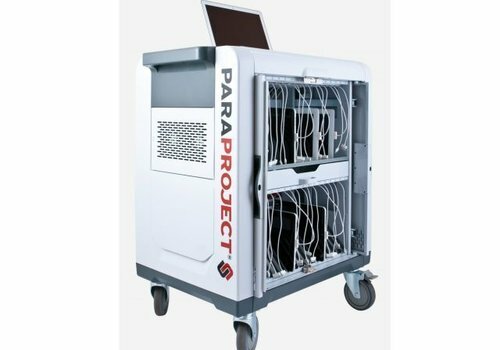 PARAPROJECT i32 trolley is fitted to house up to 32 iPads or tablets for storage, charging and syncing. 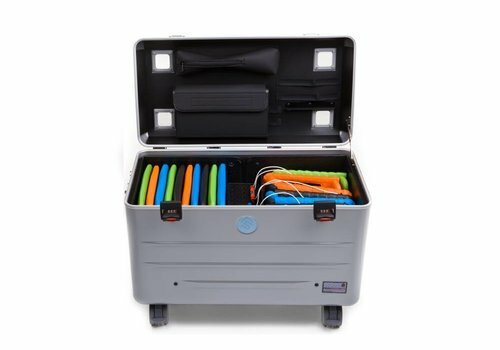 Equipped with a lock and 32 USB connections. 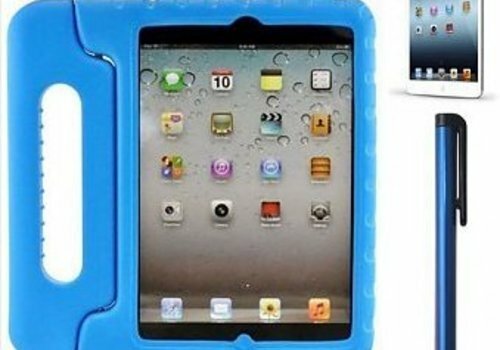 The Zioxi iPad Charging & Sync Case for 16 tablets is the solution for simultaneous charging, synchronization and storage of your devices. 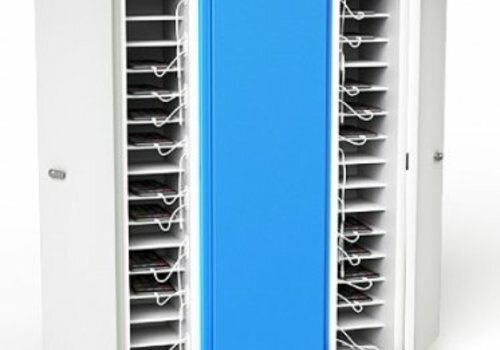 Available with key lock. 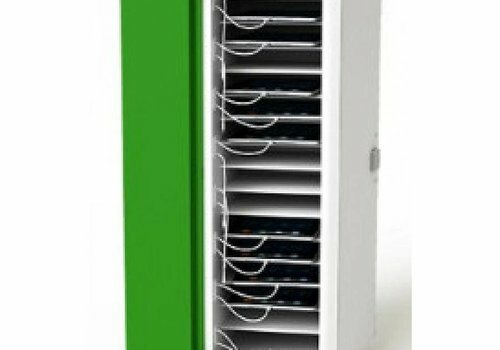 The Zioxi iPad Charge & Sync for 32 tablets is the solution for simultaneous charging, synchronization and storage of your devices. 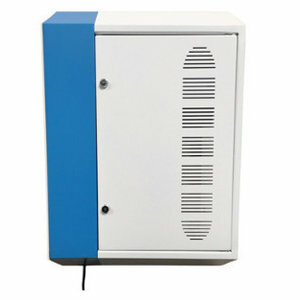 Available with key lock. 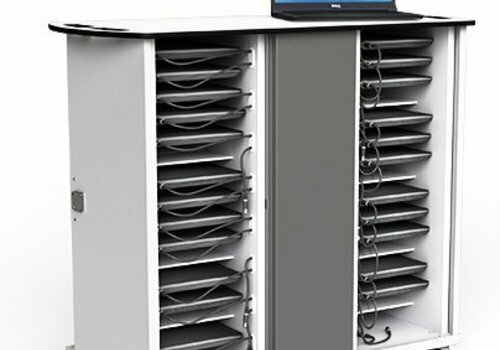 Simplicity and functionality in this universal steel cabinet, suitable for 24-32 iPads and tablets in protective cases. 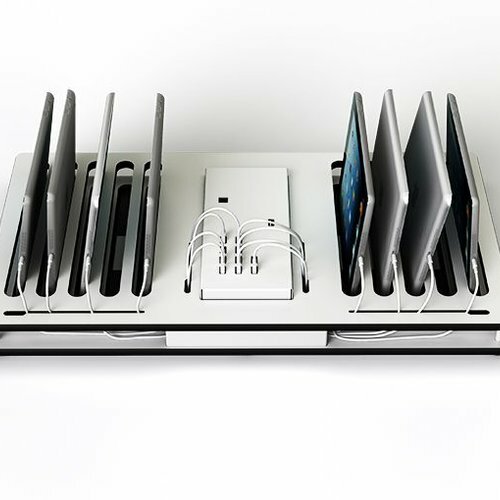 Two tablets per shelf. 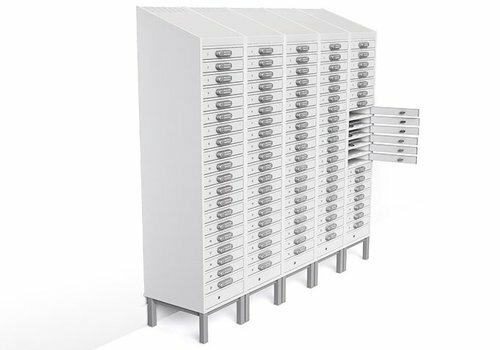 Synchronization unit for MDM, Mobile Device Management software not included. 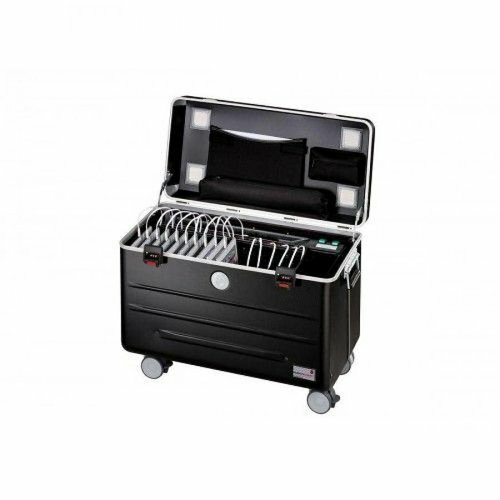 The aluminium notebook storage case is easy moveable by the 4 wheels and the trolley system. 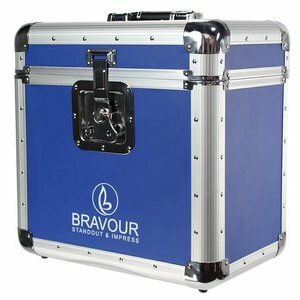 The case is lightweight and easy to handle. Charging with closed lid and one plug. 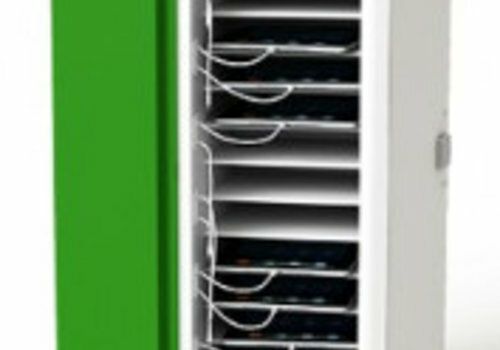 charge WL5 wandkast for 5 iPads and tablets 9"-11"
WL5 from Parotec offering charge only from the WL5, 5 x iOS iPads . 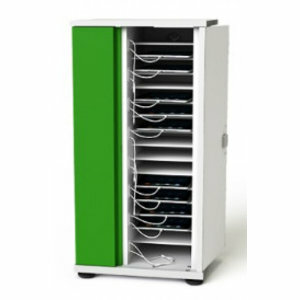 Fully lockable units. 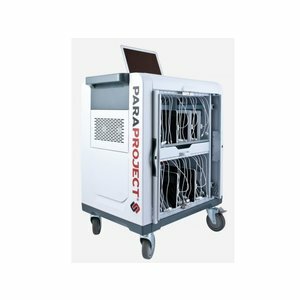 Parotec-IT charge & sync T40 (T2) cabinet with wheels for 40 iPads, tablets and Notebooks between 10 and 15,6"
Parotec-IT charge WL5 wandkast for 5 iPads and tablets 9"-11"
Zioxi syncing and charging cabinet with wheels for 32 Tablets 7" till 14"
Zioxi charge cabinet with wheels for 32 laptops and notebooks till 15.6"
Zioxi charge cabinet with wheels for 16 laptops and notebooks till 15.6"
Parotec-IT charge & sync case C32 for 32 smartphones iPods iPhones till 6"
Zioxi charge cupboard with wheels for 20 Chromebook Macbook Laptop Tablet till 14"
Parotec-IT charge & sync i10 Parasync desktop docking station for 10 iPads 9.7"
Zioxi charge locker 20 compartments for Chromebooks/ Macbooks/ Notebooks/ tablets till 15,6"
Parotec-IT charge & sync T36 (T5) cabinet with wheels for 36 iPads, tablets and Notebooks between 10 and 15,6"